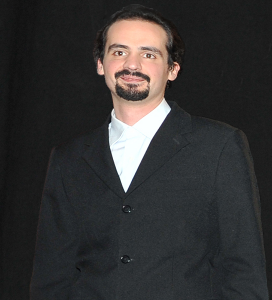 Giovanni Santini recently obtained a Specialized Master Degree in composition at Hochschule für Musik Basel, where he studied with E. Oña and J. C. Walter. Previously studied with N. Vassena, G. Verrando and A. Nicoli. He is currently studying with G. Netti. Selected for Manoury Academy – Festival Musica Strasbourg 2016, Composit festival 2016 and Harvard Summer Composition Institute 2014, frequented also the courses of impuls Academy, Chigiana academy, and Electronic Music courses at Scuola Civica in Milan and Elektronisches Studio in Basel. Frequented master-classes with S. Sciarrino, B. Furrer, C. Czernowin, S. Takasugi, P. Billone, F. Filidei, Y. Robin, M. Andre, S. Gervasoni and many others. His music has been performed, among the others, by Talea ensemble, Phoenix ensemble, Laboratorium ensemble, mdi ensemble, Prometeo quartet and soloists like D. Ciampolini, D. Gloger, M. Cesari, F. Dillon in many countries (Italy, Germany, Switzerland, France, USA, Argentina).